Follicular Unit Extraction/FUE hair transplantation is an innovated technique that eliminates the requirement of any skin excision and the resulting linear scar. Instead, individual 1-5 hair follicles are harvested directly from the scalp one by one, which allows faster healing and minimal scarring. The possibility of harvesting a single hair follicle at a time has also broadens the chances for minute or spot hair restoration for thin eyebrows, and other facial hair. 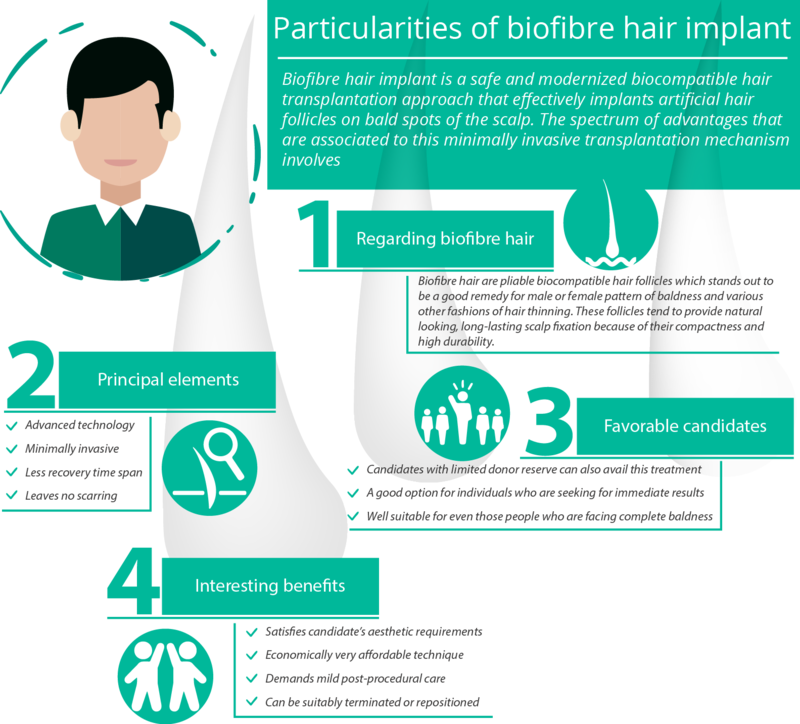 It also allows the harvesting of donor hairs from hair bearing areas in the body other than the back of the scalp, with body hair transplantation (BHT/ Body Hair FUE/BHFUE). Thus, conserving scalp hair as much as possible. The surgery takes place after an initial consultation, and pre-operational preparations maintained by the patient. Before the surgery, patients are given oral sedatives to make them feel relaxed. The entire donor area starting from the nape of the neck is cropped short. Local anaesthetics are injected to the scalp. Once the scalp is numb, the surgeon starts to make tiny holes around the hair follicles or scoring the scalp under magnified vision identifying the 1-5 hair follicular units. Each follicular unit is extracted one by one until the sufficient amount of donor hair has been extracted. The extracted grafts are separated according to their graft numbers, meaning single hair grafts, 2-3hair grafts and 4-5hair grafts are separated. The hair grafts are placed into a holding solution that imitates bodily fluids to keep the hair grafts moist. Simultaneous to the graft creation, the recipient site is created, by placing tiny incisions to insert the hair grafts. Finally, the hair grafts are transplanted according to the pre-determined pattern. If there is a technique that can yield one hair at a time, then it is obvious to allow donor hair to be harvested from other hair bearing areas in the patient’s body. Hence body hair follicular unit extraction (BHFUE) or simply Body Hair Transplant (BHT) is done with the use of expanding needle technique. With this, the surgeon can harvest donor hair from the patient’s legs, arms, chest etc and conserve as many scalp hair. Body hair grows in single hair follicles rather than a follicular unit, and is androgen resistant. However, as the quality and texture of body hair differs from that of scalp hair, it depends on the surgeon’s understanding as to how the hair should be used for best possible appearance of the final results. The FUE technique is oriented with sundry instrumentations, of manual, automated, and motorised applications. The same result is obtainable from all kinds of instrumentation. However, it depends on a surgeon’s credibility as to what is his/her chosen instrument is. At Advanced Hair Transplant Clinic, our FUE surgeons are highly skilled in automated and motorised FUE instruments. The FUE technique proves to be highly advantageous in aborting the appearance of obvious scaring that would take much time to heal. Patients who are likely to wear their hair short will find this procedure much advantageous by means that the tiny specs of scars can heal in days. This is contrary to the obvious linear scar associated with FUT that can be clearly visible with short-cropped hairstyle or thin hair at the back of the scalp. FUE is also an advantageous for outgoing persons leading an active life, such as athletes, since there are no restrictions on strenuous movements and activities after surgery.